Scientists have recently been asking the question, ‘What is Pluto?’ In a controversial decision on 24 August 2006, the International Astronomical Union (IAU) voted to accept a new definition of the term ‘planet’. The IAU is an internationally recognized organization that is responsible for naming objects in space. The definition reduces the number of planets in our solar system to eight, excluding Pluto and certain other objects. The astronomical community has had varied reactions to this decision. 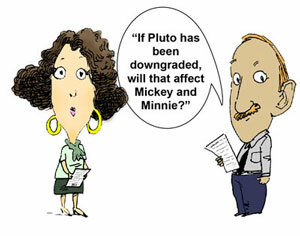 Why is there so much controversy over this decision and why have astronomers stopped considering Pluto a planet? Ultimately the question of how to define a planet arises because it is challenging for man to categorize some of the objects God created. Planetary scientists have debated for years whether Pluto should be considered a planet. Pluto is very different from the other eight objects called planets. It is much smaller, has a tilted orbit and a different composition from the large gaseous planets in the outer solar system. For some years it has been known that Pluto possessed a moon called Charon, then recently two additional small objects were discovered orbiting Pluto.1 These new moons have not yet been named. Other objects have been discovered orbiting our Sun that are even more distant than Pluto. The region beyond the planet Neptune is often called the Kuiper Belt or the trans-Neptunian region. There also are a few other small bodies in the solar system in various regions that defy traditional categories like planet, moon, asteroid, and comet. Scientists have sometimes struggled with what to call them. One object beyond Pluto’s orbit had the official designation of 2003 UB313 (now called Eris).2 It is even larger than Pluto. If Pluto is a planet, should we consider Eris a planet also? Another similar object exists beyond Pluto that seems to be a little over half Pluto’s size. It is called Quaoar.3 There are more and more objects being discovered in the Kuiper Belt region. Ceres is the largest of the asteroids in the region between Mars and Jupiter, 940 km (590 miles) in diameter. When Ceres was first discovered it was considered a planet, but then as other small objects were found between Mars and Jupiter Ceres was reclassified as an asteroid. On 16 August the IAU proposed a new definition of planet that would have increased the number of planets from nine to twelve. By that definition, Charon, Eris, and Ceres would all have been reclassified as planets. Also by this definition it is likely there would have been many more objects added to the list of planets in the future as astronomers continued to discover new objects beyond Pluto. However, the 12 planet definition was not adopted. Rather, a definition was adopted that no longer considers Pluto to be a planet, nor Charon, Ceres, or UB313. It establishes three main categories to encompass the various objects in our solar system.4 The categories are Planet, Dwarf Planet, and Small Solar System Bodies. The definition of Dwarf Planet is based on the definition of Planet. Small objects that are neither Planets nor Dwarf Planets (such as comets) will be referred to as Small Solar System Bodies (which replaces the old term ‘Minor Planet’). These would include asteroids, comets, and Near Earth Objects. For an object to be considered a planet, it must pass certain tests, by the 24 August IAU definition. First, it must orbit a star (not orbit a planet) and it cannot be a star. The second test has to do with its size and shape. It must have enough matter (or mass) so that its own gravity would pull it into a spherical shape. Note that scientists tend to assume natural forces alone are all that was involved in forming planets. It may be that gravity could pull an object into a spherical shape, or it could be that God created the object supernaturally, using a spherical shape to make the body stable. Gravity does tend to make large bodies round. When an object’s inward force of gravity balances with other interior forces to make it spherical in shape, it is said to be in hydrostatic equilibrium. It is believed this requires a rocky object to be about 800 km (500 miles) in diameter. If a body is not in hydrostatic equilibrium, then it will change in some way until forces get back in balance. Scientists know about gravity and about how the properties of rock, ice, and other materials in a body can determine how rigid it is and what shape it is. But no one has observed gravity pulling a large mass into a planet-sized sphere. Actually in evolutionary planet origin models, it is believed that something had to melt the object before gravity could pull it into a sphere with layers in its interior. So, there is more to the problem than just gravity. Also, we do not know that planets have always been or will always be in hydrostatic equilibrium. Events in the past such as large impacts or geologic events could have put an object out of equilibrium. So, it may be difficult to apply the second test, at least for some cases. It seems unclear whether even Earth, Jupiter, or Neptune would pass this [test to be called a planet]. Pluto would meet both of the above planet tests, being about 2,300 km (1,500 miles) in diameter, but Pluto does not pass the third test of a planet. A planet, by the new definition, must have cleared other objects away from near its own orbit. This last test assumes that an object large enough to pull together by gravity would over time cause small objects near it to fall into the planet or be pulled away into some other part of the solar system. Because the orbits of Pluto and Neptune come very close to each other, Pluto does not meet this requirement. And even though their orbits are so close, their motions are so timed that Pluto and Neptune can never collide.5 For every two complete orbits made by Pluto, Neptune makes exactly three orbits. The origin of this resonant motion is still a mystery to planetary scientists. The third test has been criticized by a number of astronomers. It seems unclear whether even Earth, Jupiter, or Neptune would pass the third test of a planet. For example, there are a number of objects known as Near Earth Objects (NEOs) close to Earth’s orbit. Objects that pass the first two tests but not the third one will now be known as Dwarf Planets. Dwarf Planets by this definition could be anywhere in the solar system, and include Ceres, Eris, and Pluto. This test of clearing the orbit also relates to the question of the age of the solar system. By assuming it is 4.5 billion years old, evolutionist astronomers have given themselves plenty of time for small objects to be cleared away from orbits. On the other hand, there are processes that could actually add small objects to planet orbits in some cases. There are also cases where asteroids or moons are in special stable positions, sharing an orbit with another object. There are asteroids like this (called the Trojans) that share Jupiter’s orbit. They will never be ‘cleared out’ because of their special stable positions. There is also a small list of NEOs that are known as Earth’s co-orbitals; one of them is named Cruithne.6 Cruithne follows a very complex path that makes it roughly oscillate around Earth’s orbit. Cruithne’s orbit has been variously described as a corkscrew or horseshoe. These objects roughly share Earth’s orbit, but they are not bound to Earth like the Moon and they don’t follow Earth’s orbit either; instead, they have a complicated motion around Earth’s orbit. The motion of these coorbitals is so unusual that they do not even follow Kepler’s Laws of planetary motion! This makes them different from all other known objects in the solar system. Yet, they seem to be stable in their complex ‘dance’. The God of the Bible is a Creator who makes both the large and the small for his purposes. In recent years we have learned much about the Small Solar System Bodies, as the new definition calls them. Christians should bear in mind that scientific observations of planets today do not tell scientists how the planets formed. 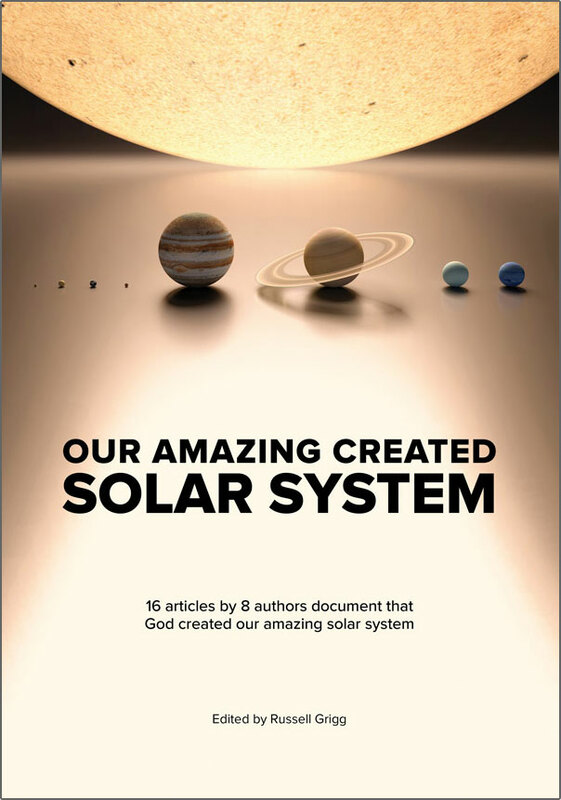 The Bible puts the origin of stars, planets, moons, galaxies, and all other objects in space all on the fourth day of the Creation Week. This clearly requires supernatural creation. In the theories accepted by most scientists today, the origins of planets and some other objects in space were separated by billions of years. Whether Pluto is considered a planet or not by planetary scientists, there is great interest in exploring it. In January 2006 NASA launched a spacecraft known as New Horizons that will travel all the way to Pluto, arriving in the year 2015 if all goes well. If the August 24 IAU definition remains in effect, the number of planets will likely remain at eight. But eventually there may be many objects in the Dwarf Planet category, as our knowledge of Kuiper Belt Objects and asteroids increases. The Creator’s work still surprises scientists and new discoveries create a need for new categories. New moons of Pluto, 13 September 2006.Return to text. At first nicknamed ‘Xena’, some news reports described it as a ‘new planet’. Britt, R.R., Object bigger than Pluto discovered, called 10th planet, 13 September 2006.Return to text. This website is from the discoverers of Quaoar, <www.gps.caltech.edu/~chad/quaoar/>, 13 September 2006.Return to text. To see the International Astronomical Union’s page explaining the new definition go to <www.iau2006.org/mirror/www.iau.org/iau0603/index.html>, 13 September 2006.Return to text. Computer simulations of the motion of Pluto and Neptune show that Pluto and Neptune would be stable in their current orbits and never collide for at least several tens of thousands of years. 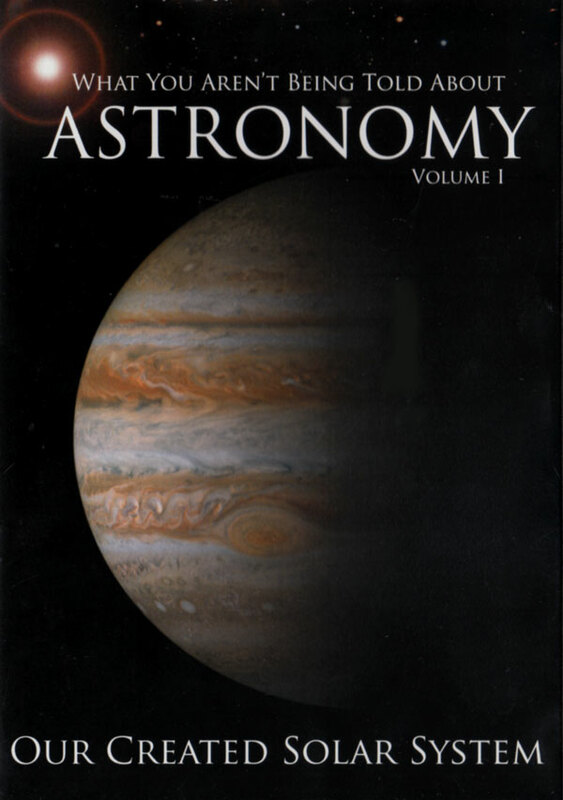 Stern, A.and Mitton, J., Pluto and Charon, John Wiley & Sons, New York, USA, pp. 139–143, 1998.Return to text. This semi-technical site is from one of the discoverers of Cruithne. It has some graphics showing the complexities of Cruithne’s motion around Earth’s orbit. Wiegert, P., et al, Near-Earth asteroid 3753 Cruithne—Earth’s curious campanion, 13 September 2006.Return to text.